They were researched, greatly wished for, highly anticipated, and a huge letdown. 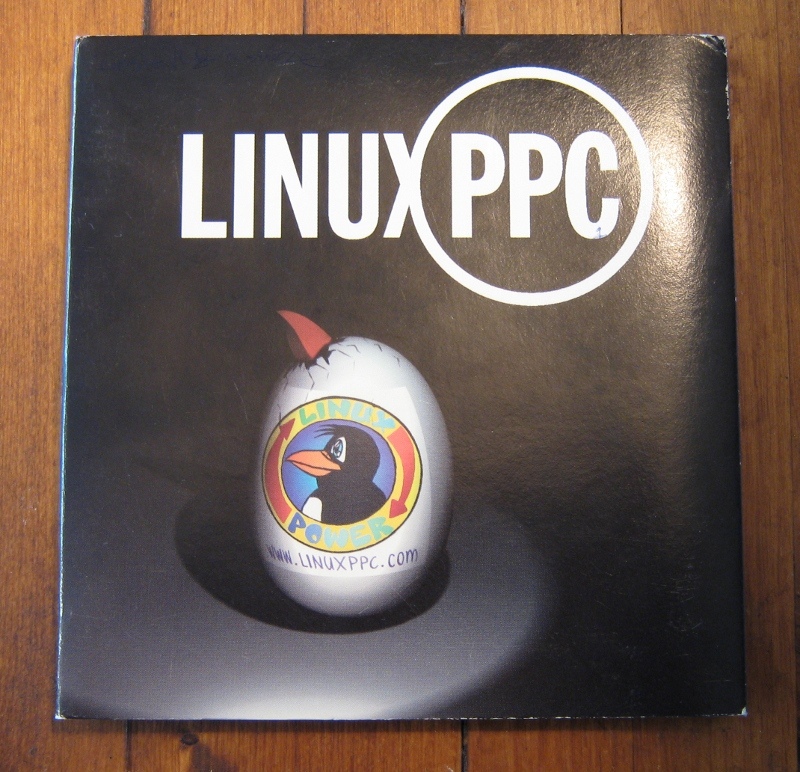 In fact, I bought a copy of the last release LinuxPPC made before going under and never got a decent, stable system running from those discs. I might have a shot at it now but for a complete newbie with a dial-up internet connection it was a pretty frustrating experience, one which made me determined to know how the darn system worked. As a result I ended up running straight-up Debian because I read somewhere “if you install Debian, you will know your system inside-out by the time you get it installed and working”, which sounds like asking for more of the same trouble. However, Debian had three things going for it LinuxPPC didn’t: massive email list archives, good package management system, and actual system stability. It is so awesome that I made debian-logo fridge magnets and have run Debian in some form or another for the last (nearly) ten years on well over a dozen different machines, from a PowerMac 7600, Bondi iMac, and IBM 380D (still running, BTW) to my current semi-modern Franken-eMachine fileserver, from which I type. Not the end. No, not yet. This entry was posted in Scribbles & Jots and tagged Commentary, linux, Technology by The One True Stickman. Bookmark the permalink.